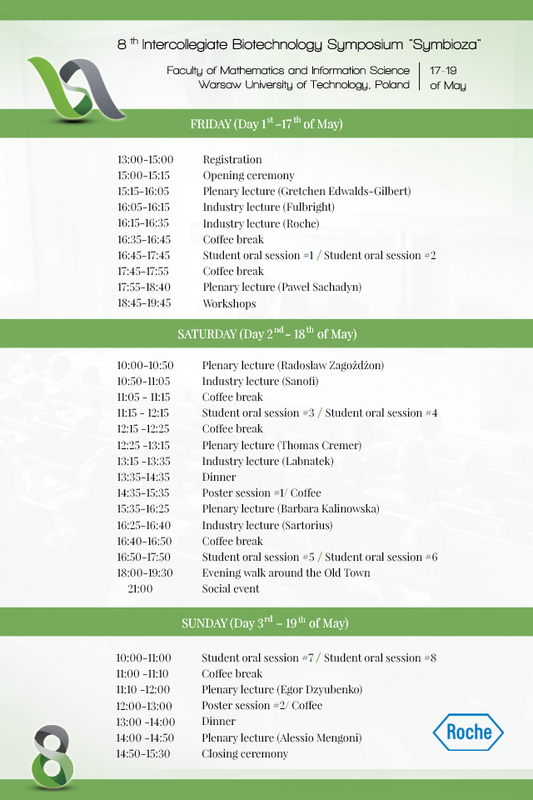 Last update: 8th of April 2019. 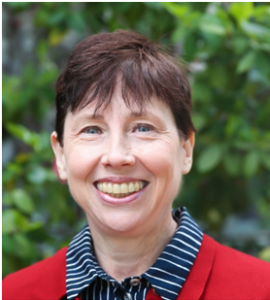 Dr. Gretchen Edwalds-Gilbert is currently a Fulbright Scholar at the University of Warsaw Institute for Genetics and Biology; she is an Associate Professor of Biology at Claremont McKenna, Pitzer, and Scripps Colleges in California. She completed her Ph.D. at the Weill Medical College of Cornell University in New York City, and did post-doctoral research at the University of Pittsburgh School of Medicine and the Beckman Research Institute of the City of Hope in Duarte, California. Dr. Edwalds-Gilbert is a member of the Council on Undergraduate Research (CUR) and serves as a CUR Councilor for the Biology Division. In her own molecular biology lab, she has supervised 58 undergraduates, many of whom are from groups underrepresented in science. In her research, Dr. Edwalds-Gilbert focuses on the regulation of gene expression under stress response, and she has received funding from the Keck Foundation and the Howard Hughes Medical Institute for this work. Cells encounter stress through their interactions with the environment and either respond successfully, maintaining homeostasis, or do not, leading to cell death. Changes in gene expression critical to resolving the stress response are regulated at many stages, including gene transcription, pre-mRNA alternative processing, mRNA modification, transport, and translation. Regulation of translation after stress exposure is associated with many diseases, including cancer, and is also relevant to environmental stresses organisms face with climate changes. Thomas Cremer is Professor emeritus of Anthropology and Human Genetics at the Ludwig Maximilians University (LMU) in Munich (Germany). In the 1970s he pioneered approaches to study nuclear architecture using a laser-uv-microbeam (built with his brother, the physicist Christoph Cremer). classify universally valid, species and cell type specific features of nuclear architecture in normal cell types as compared to disease correlated features in pathological cells. Dr Radosław Zagożdżon (M. D. PhD) graduated from Faculty of Medicine at Medical University of Warsaw (WUM) in 1996. In 1998 he received medical doctor degree (M. D.) at Center for Biostructure Research WUM. Between 2000-2005 he worked as a postdoctoral fellow and an instructor at Beth Israel Deaconess Medical Center in clinical hospital Harvard Medical School in Boston, USA. During the next years he was a postdoctoral fellow and lecturer at the University College Dublin in Irleand. He was a preincipal investigator in the BASTION project. He also conducted research founded by National Science Centre (Poland). In 2016 he obtained degree of DSc (habilitation). From the begining of 2017 dr Radosław Zagożdżon has been a head of the Departament of Immunology, Transplantation Medicine and Internal Diseases, Transplantation Institute WUM, where he also works as a physican. 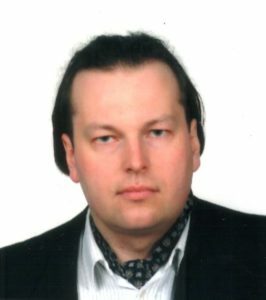 He is a scientific consultant in the Faculty of Bioinformatics at Institute of Biochemistry and Biophysics (Polish Academy of Science). Dr Zagożdzon is interested in experimental oncology, tumor immunology and immunotherapy. 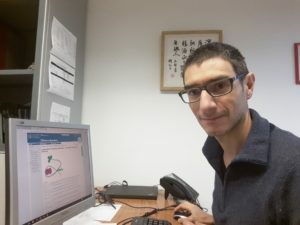 In his research work, he is mainly focused on examining homeostasis of redox-states in tumor and immune cells, particulary natural killer (NK) cells. The aim of his project is to evaluate the role of the specific antioxidative enzymes systems in cell growth and survival, tumor cells resistance to chemotherapy and mechanisms of immune evasion in cancers. What is the role of astrocytes, ECM and peri-neuronal nets for neuronal plasticity and neuronal network function? Can we modify neuronal networks exogenously, and how can patients with neurological diseases benefit from it? Which are the molecular signals that lead to neurological recovery? 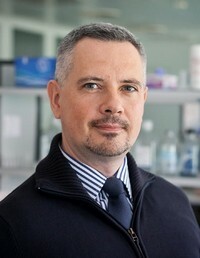 To address these challenging tasks, he combines animal models and cell culture techniques, bridging structural histochemical and electrophysiological methods (e.g., Multi Electrode Arrays, MEA). Within his studies, he establishes cutting-edge superresolution imaging tools (STED, SIM, PALM) and evaluates neuronal connectivity by computational approaches. Pawel Sachadyn Paweł Sachadyn completed his PhD dissertation at the Faculty of Chemistry of the Gdansk University of Technology in 2000. He carried out several research projects in the field of molecular biotechnology and molecular diagnostics. One of the principle directions of his work was concentrated on the application of MutS protein as a tool for the analysis of mutations and pre-mutational changes in DNA. From 2005 to 2008, as a fellow of the Foundation for Polish Science, he conducted the studies on mammalian regeneration in the Wistar Institute in Philadelphia. Further, he developed his research towards the molecular basis of mammalian regeneration with particular regard on its epigenetic aspects. From 2014 to 2018, he participated in the REGENNOVA programme on novel technologies for pharmacological stimulation of regeneration as one of project leaders. He was promoted to the rank of Associate Professor of the Gdańsk University of Technology in 2015. In 2017, he became the head of the Laboratory for Regenerative Biotechnology. Dr. Sachadyn believes that human genome contains complete information that defines the structure and functions of organisms and that silencing of developmental genes is responsible for the decline of regenerative abilities in adult mammals. This assumption led him to the hypothesis that temporary reversal of the epigenetic repression was possible to enhance healing potential. 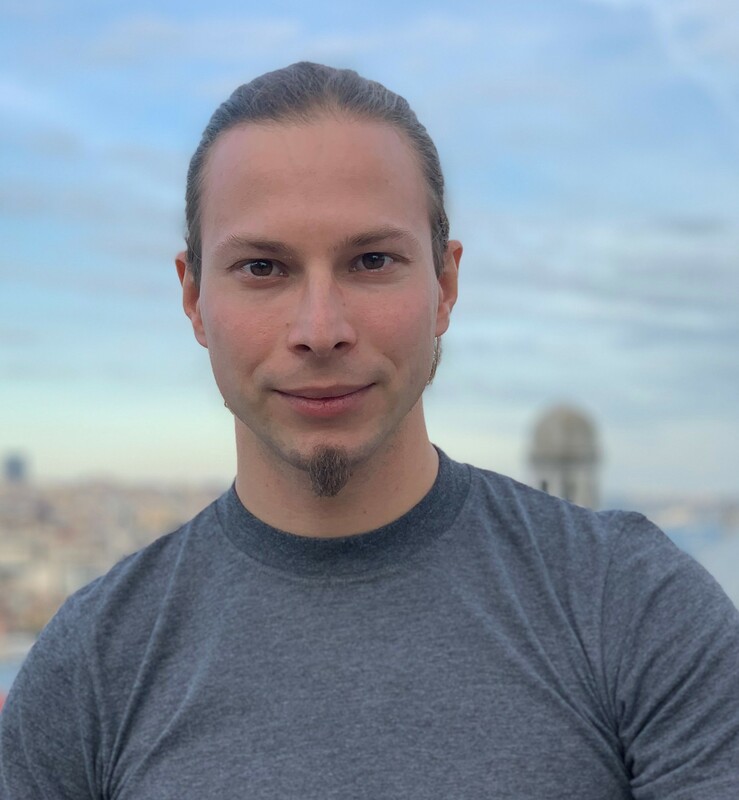 Dr. Sachadyn and his research group work to delineate novel strategies of regenerative medicine based on the pharmacological activation of endogenous regenerative potential using innovative epigenetic therapies. Alessio Mengoni obtained a PhD in Genetics from the University of Pavia (Italy) working on plant population genetics. Since more than 15 years he is interested in understanding the dynamics of symbiotic interactions between bacteria and plants, in particular from the point of view of bacterial genome evolution and biotechnology. He applies metagenomic and computational biology approaches to study the diversity, dynamics and functions of microbial communities, with special attention to host-associated microbiomes. He is co-founder of a spin-off company (EcolGene S.r.l.) devoted to environmental microbiology analyses. Alessio is professor of genetics at the University of Florence and visiting professor at the Intecollegiate Faculty of Biotechnology, University of Gdansk, Poland and at the School of Life Science, Sun Yat-sen University, Guangzhou, P.R. China. 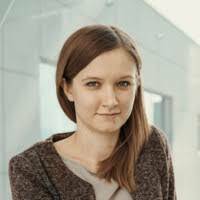 Barbara Kalinowska is an experienced bioinformatician with a strong background in biophysics. She obtained her Ph.D. from the Jagiellonian Univerisity in the field of computational biology, specifically in the protein structure prediction. The research she performed during her doctoral studies resulted in several publications and was presented on international events. While the master studies, she gained also experience in the laboratory work and the research on the photodynamic therapy of cancer. Barbara joined Ardigen at the beginning of 2017 and since then she has broadened her practical knowledge in the field of the modern genomics. She participated in several projects focused on topics like CNV detection, CRISPR/Cas9 screening or single-cell RNA-seq data analysis. Ardigen provides analyses, tools and novel algorithms to life science companies which base their solutions on the most innovative technologies, particularly in the field of Next Generation Sequencing. Processing a large amount of multi-omics data and building tools supporting research requires combining expertise in bioinformatics with software engineering and data science skills. Ardigen aims to integrate knowledge from various domains to offer high-quality services in bioinformatics. Selected real projects performed in Ardigen for global companies will be presented with the main focus on bioinformatical aspects. The examples will cover topics like CRISPR/Cas9 technology and single-cell RNA sequencing.